The boss of European cable operator Liberty Global, Mike Fries, has revealed to investors that they intend to launch “two gigabit cities” in the UK this year via Virgin Media, which as the name suggests could result in related homes gaining access to speeds of 1Gbps (1000Mbps+) using the latest network upgrades. Normally we’d be mentioning this as part of the main results story, but in this case the “gigabit cities” news wasn’t included in today’s release from Virgin Media (focus was on their 500Mbps tier instead) and unless you spent a long time reading though the operator’s investor call (needle in a haystack of info.) then this development would have gone unnoticed. Luckily ISPreview.co.uk loves finding those needles so you don’t have to. 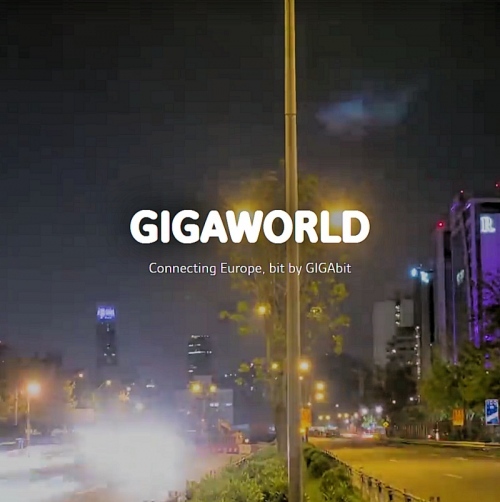 So what do they mean by “gigabit city“? Broadly speaking, this appears to be the long.. awaited start of their new DOCSIS 3.1 network upgrade (i.e. like Liberty Global has already started in Germany and Poland). The 3.1 standard is theoretically capable of delivering peak downstream speeds of 10Gbps and uploads of 2Gbps, although end-user packages will obviously start at a much lower rate. Just to be clear and we’ve double checked this, the 500Mbps launch and the low-key gigabit cities announcement are separate. The new 500Mbps plan will be delivered via Virgin Media’s existing DOCSIS 3.0 platform and not 3.1. By the sounds of it Virgin’s DOCSIS 3.1 roll-out will most likely adopt a city-by-city approach to deployment (as per Germany etc. ), but at present they aren’t offering any solid details. We should add that in the same investor meeting Liberty also repeated that they still see large apartment buildings (MDUs) as an “area of opportunity,” which will surely be something they’ll want to target as part of their forthcoming gigabit cities roll-out. 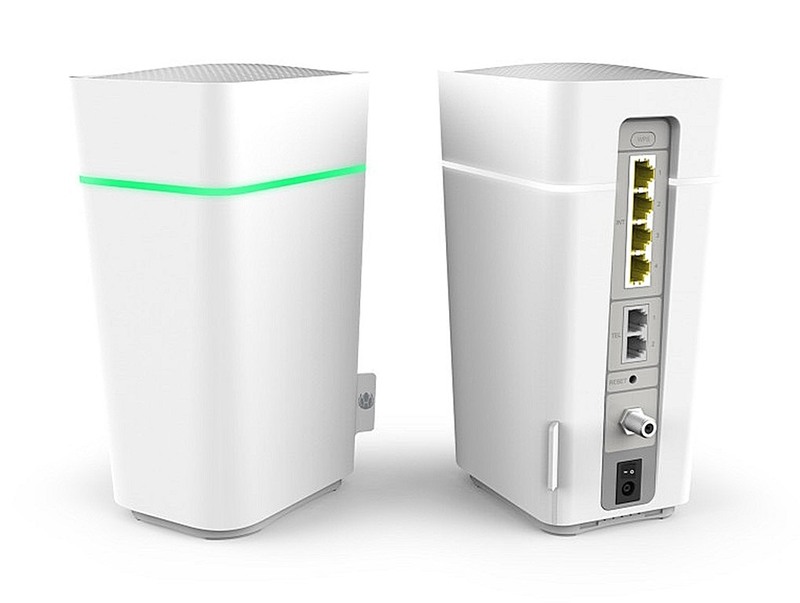 The DOCSIS 3.1 platform will also require Virgin Media to launch a new broadband router (Hub 4.0 / SuperHub v4), which seems likely to be based off Liberty’s new Gigabit Connect Box (Connect Box 2) or possibly a re-branded version of AVM’s similarly featured FRITZ!Box 6591 Cable router (2533Mbps WiFi speed – Intel chipset). Both are being used in other parts of their cable network around Europe. The GCB, which is pictured below, features 4 x Gigabit LAN ports, as well as the usual 2 x Analogue Telephone ports (handy for VM’s VoIP phone service) and we understand that the theoretical WiFi peak speed via 5GHz and 2.4GHz is 2183Mbps (via 10 antennae). Sadly there are no USB ports but we understand that it may have support for Bluetooth, which you don’t often see in routers (sadly we don’t know who manufactures them but several brands, like ARRIS, have a strong relationship with Liberty). Thank you! This is why I love this site! Nice! I’m so glad to hear this news! They’ve been so quiet about DOCSIS 3.1. Years and years of talk about it, then silence and now it’s finally happening! My hope is that they’ll sort out their jitter issue and we see some lower ping times. Sadly any way you want to put it ‘Ping/jitter/lag/latency’ doesn’t seem to be of interest to any of the big ISP companies, its all about headline peak speeds that the sheeple associate with ‘better’. Only when the bulk of complains or people switching providers citing this as the reason will that change I fear. Currently waiting for Vodafone / CityFibre to get to my side of town before leaving VM. I’m fortunate enough to not have a problem with my VM connection going back to the Ntlworld days. However – upload. Same for me SimonR, the upload speed of VM is still flagging even with the new 500/35 offering. Vodafone FTTP is well worth the wait. I was checking what speeds they offer in Germany for their gigabit cities, and it seems they offer 1000/50. They were talking of changing the upload to a possible 100 in the future. For business packages they currently was offering 1000/60. For those of us that can’t even get a 10th of that, I find it hard to complain. @Mike – I feel for you. But at the same time I want more upload! I believe download speed is enough already. In the times when everything is in a cloud we prefer upload more than ever. If VM are not offering increased upload is this due to technical reliability or commercial decisions?. For instance varying quality of their HFC networks, ensuring there is a differential between consumer and business products or the cost of changing out customer equipment. (a), (b) and earlier DOCSIS standards are principally asymmetric with symmetrical only really coming with (c) unless download capacity is not used. It also depends on what kit VM have been investing with on Lightning. I am assuming (c) is still too new so I am assuming these Gigabit Broadband Cities will be DOCSIS 3.1 over full fibre and hence not restricted by limitations. It would appear that VM products will be like the other technologies in being postcode specific in future. I really do hope VM becomes postcode specific. That’s the only way we will see decent uplift on the upload side in the parts of their network that support it. Clearly though their not interested in upgrading the whole network to support a decent upload speed. Feels like their fattening it up to sell it on instead. Hopefully the new owners have a more long term future proof view. I often wondered where the long term feasibility of VM was but if they are to use DOCSIS3.1 Full Duplex then its gloves off in overbuild areas. If/when VM sell symmetrical gigabit in their FTTP areas it won’t be via FDX DOCSIS. It’ll be using the EPON bypass on their ONTs. Areas that are severely restricted for capacity are being upgraded, physical network swapouts. Sweating the existing networks has been done to the extent that VM have managed to squeeze 36 x 3.0 SC-QAMs, 288 MHz of RF devoted just to broadband into a network with only 642 MHz of forward path capacity. 322 MHz for all the TV channels with a single 8 MHz carrier unused at mid-frequency 331 MHz and a band between 455 MHz and 479 MHz with nothing on it. So are the upload speeds going to be any faster than the measly 20mbps provided at the moment. Not everyone can afford a business connection. The VM business lines aren’t that great upload-wise either. I’m on one. Aren’t Liberty Global bailing out of Europe at this point I think UK is there biggest market now. They have sold Germany and most of there Eastern Europe to Vodafone. Think only Slovakia and Poland are left in Eastern Europe now they have just sold there Swiss business to Sunrise headed by Olaf Swantee some might remember him. They sold there Austria business last year to T-Mobile. So think they only have UK Belgium Netherlands Poland and Slovakia left now compared to what they had only 2-3 years ago it’s a huge carve up they were a pan european cable operator now it’s a lot more minor position. If they manage sell off Poland and Slovakia i expect someone will buy the rest of them up.